When the auditors arrive at your facility, are you ready and able to defend your work? What about the auditors who never set foot in the facility and never crack open one of your records? Are you losing revenue by the very choices you make in coding on the IRF-PAI and UB-04? 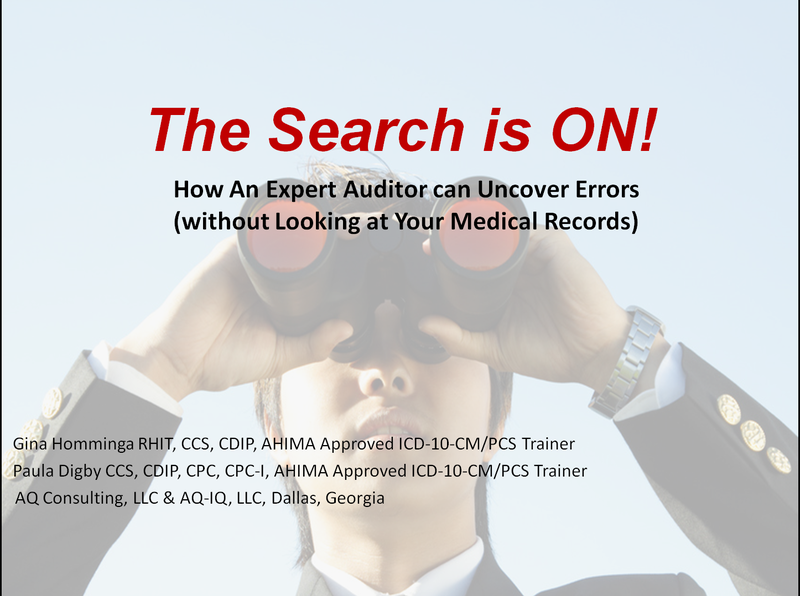 Listen to this session to learn how expert auditors can uncover errors (even serious ones) in your documentation, coding and billing, without ever opening your medical records. Identify data analysis techniques to identify claim errors and risk patterns. Provide take-away ideas and a checklist for performing your own review.